The B7 A4 Dual Outlet Carbon Fiber Diffuser arrived! 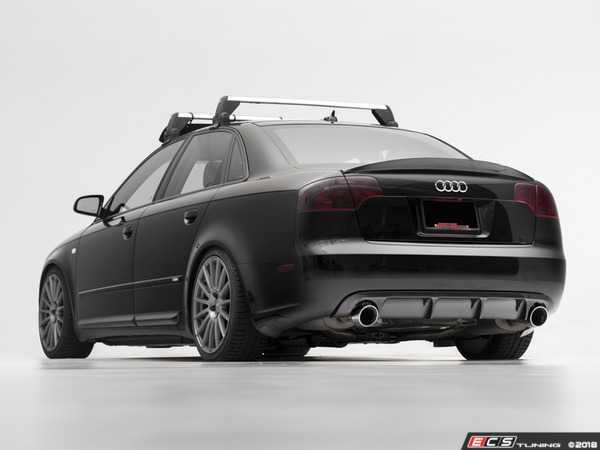 Upgrade your exterior styling with the ECS Tuning Carbon Fiber Rear Diffuser. 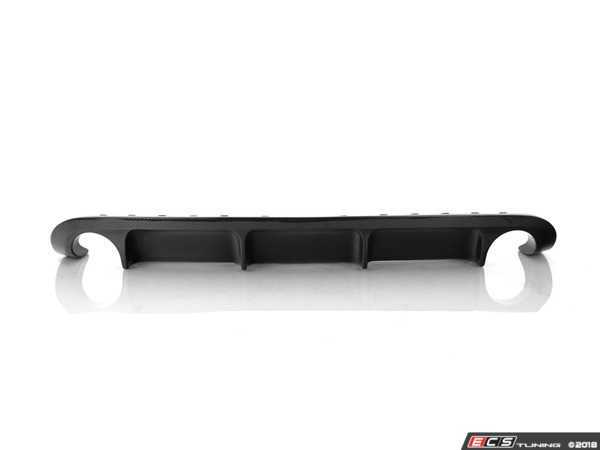 This diffuser was engineered and designed in-house to add a more aggressive appearance to the rear of your vehicle that matches with the factory appeal of the B7 S4. 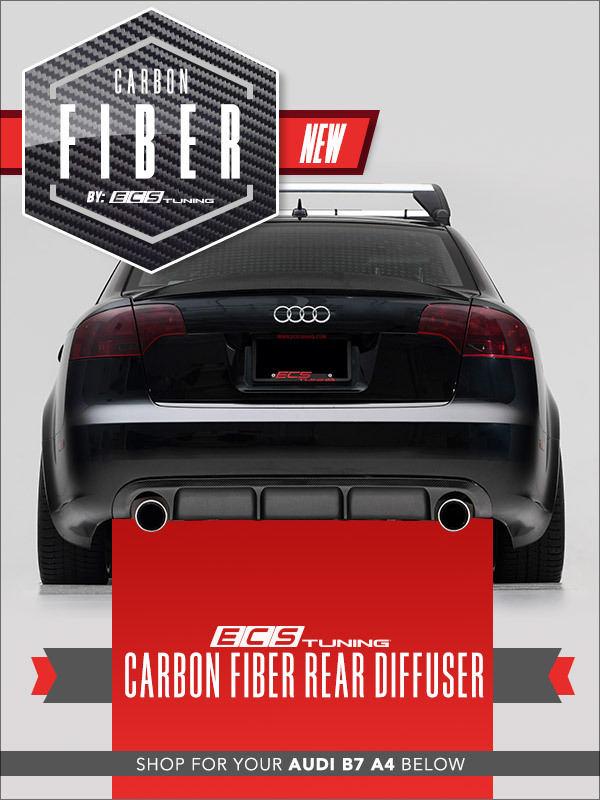 The diffuser is crafted of high-quality hand laid carbon fiber to achieve it's world-class appearance and durability and provides an aggressive and sporty style that's sure to set your vehicle apart from the rest. B7 2.0T FSI quattro. Can "load" error message from ECU cause transmission to slip? Quick Reply: The B7 A4 Dual Outlet Carbon Fiber Diffuser arrived!